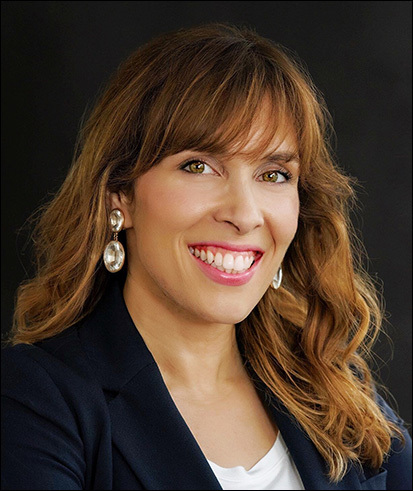 Marinés Garcia has a wealth of experience that translates into her becoming one of the best Real Estate Brokers at Eldorrado Chicago Real Estate as well as in the City of Chicago. A prior career as a Program and Event Coordinator for a not-for-profit organization that entailed collectively putting on events for 35,000 students reflects her natural abilities that segue into real estate generating success for herself and her clients. Marinés’ organizational skills combined with her ability to listen well and to plan and execute with precision led to phenomenal success. She launched and directed presentations on life choices, dreams, goals and overall character education for tens of thousands of youth in Chicago. A natural progression from there spearheaded her to becoming an Event Planner fulfilling vision and dreams for many. These natural abilities are reflected in her success as a Real Estate Broker. Within her first week, Marinés found the unit of a client’s dream and successfully took steps to close that transaction. Her God given talent of creativity, organization and planning combined with her abundant levels of energy and drive make her the perfect Real Estate Broker to fulfill all of her client’s needs. Her integrity and character are also a perfect fit for Eldorrado’s Mission Statement, “treat every client as if they were your closest family member.” She exemplifies this with all of her clients. Marinés was born and raised in the super trendy north side neighborhood of Wicker Park and knows it and the surrounding areas, such as Ukrainian Village, like the back of her hand. Her ability to know a neighborhood’s history combined also with her acumen for numbers, math, and research allow her to guide her clients to the most appreciable and profitable real estate purchases. She loves downtown Chicago profoundly but also all the City and nearby suburbs. Chicago is in her blood. Marinés loves music, art, and keeping physically fit. She and her husband are homeowners in the Galewood neighborhood where they reside with their 3 young children. Marinés is a member of the Chicago Association of Realtors, the State of Illinois Association of Realtors, and the National Association of Realtors.